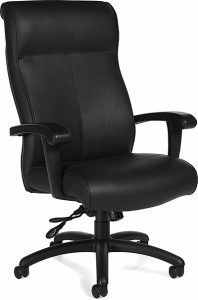 If you need office chairs for your business or home office in Atlanta, Georgia, turn to NorthPoint Office Furniture. We have been serving customers in the Greater Atlanta Metro Area for decades, meeting nearly all of their office furniture needs, and we pride ourselves on providing durable and attractive furniture options as well as top-quality customer service. Our staff will help you choose the best furniture pieces for your needs, being mindful of your personal tastes and your budget. So, when the time comes to purchase office chairs, NorthPoint Office Furniture is the clear choice. Once you find and order the office chairs you like best, NorthPoint Office Furniture will assemble them for you at your office, free of charge. For your added peace of mind, we protect your investment by honoring all manufacturer’s warranties on the products we sell, and we can also repair the furniture pieces you buy should they incur damage down the road. For more information about the office chairs we offer for your business or home office in Atlanta, GA, contact NorthPoint Office Furniture or visit our showroom today.